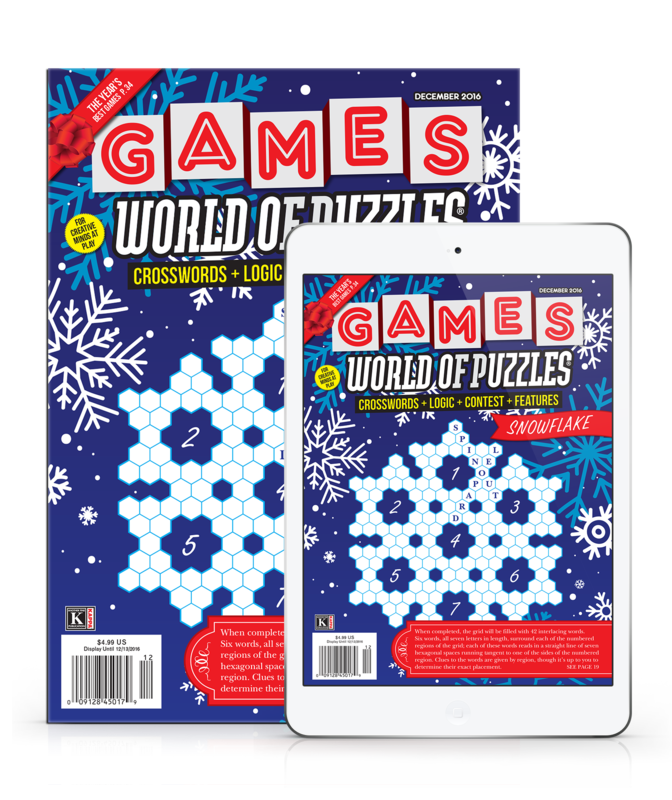 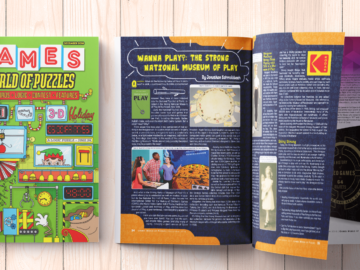 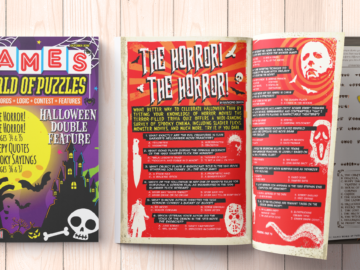 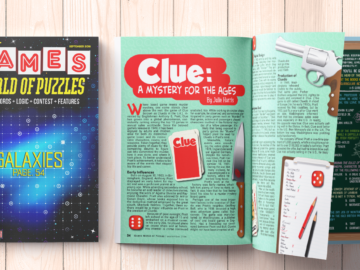 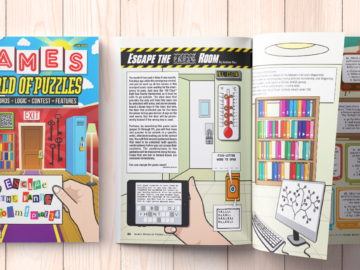 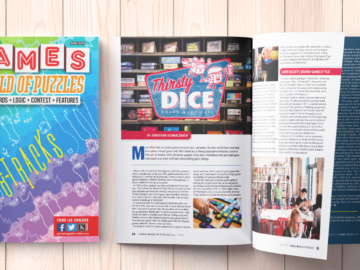 Maybe spring hasn’t quite sprung in your neck of the woods, but you’ll find lots of diversion of the cerebral sort in this jam-packed May issue of GAMES WORLD OF PUZZLES. 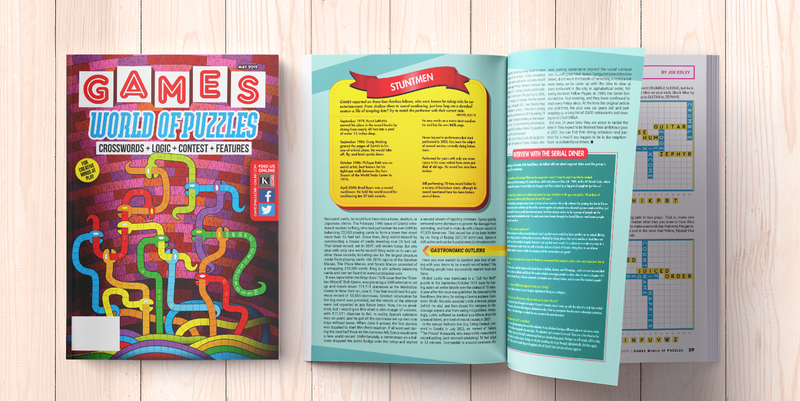 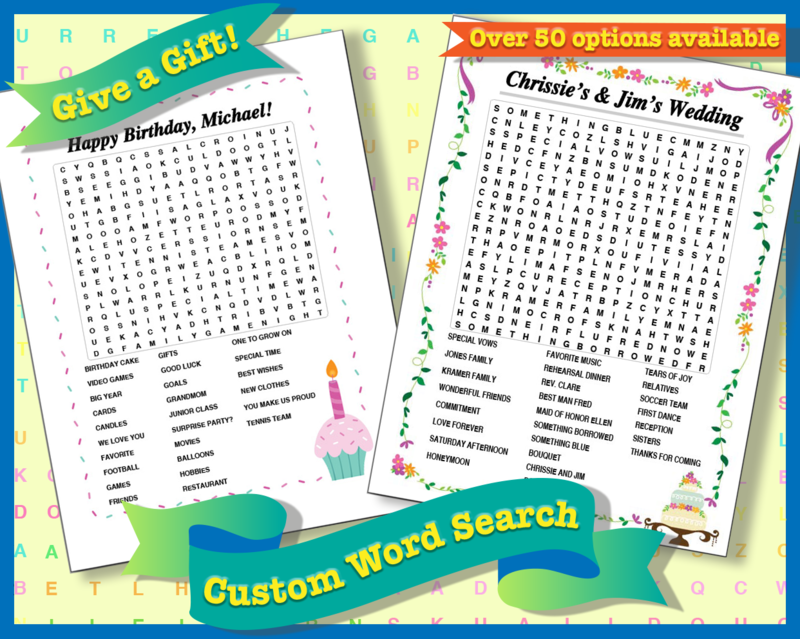 With the holiday season well-nigh upon us, we’ve compiled a festive collection of brainteasers, crossword variations, and other assorted amusements for your puzzling pleasure. 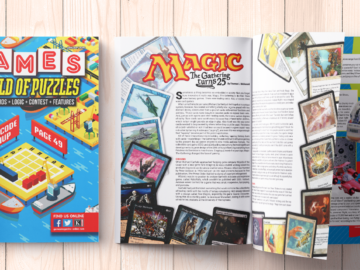 Just one year ago, everyone here at GAMES WORLD OF PUZZLES was hard at work putting together our special 40th anniversary issue. 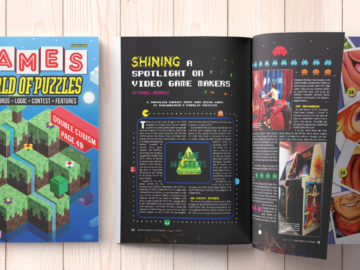 That meant hours spent poring over the very first issue of GAMES, from September/October 1977. 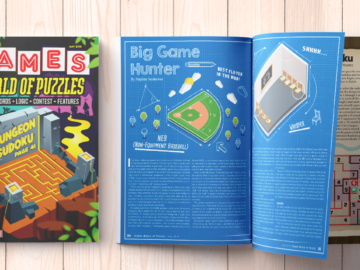 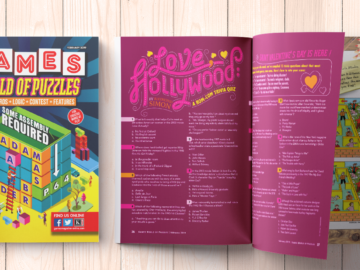 The dog days of summer may be here, but don’t sweat it: Just slip on some flip-flops, pour an ice-cold lemonade, and enjoy the August issue of GAMES WORLD OF PUZZLES.